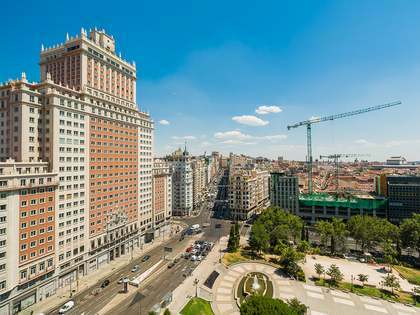 Madrid, the capital of Spain and Europe's third largest city, is an effervescent cultural, commercial and financial hotspot with a robust property market. Business professionals, families, young couples and investors are drawn to the many charms of Madrid and the city never fails to deliver. Its streets are lined with magnificent historic buildings and some of Spain's most significant cultural heritage sites, and the beautifully landscaped Retiro Park provides an idyllic green refuge from the hustle and bustle of the city when needed. Luxury boutiques, an inexhaustible list of high-end restaurants and some of the world's finest museums come together to offer the modern cosmopolitan lifestyle par excellence. Furthermore, this thriving city, geographically located at the heart of Spain, enjoys excellent transport links by road, rail and air. 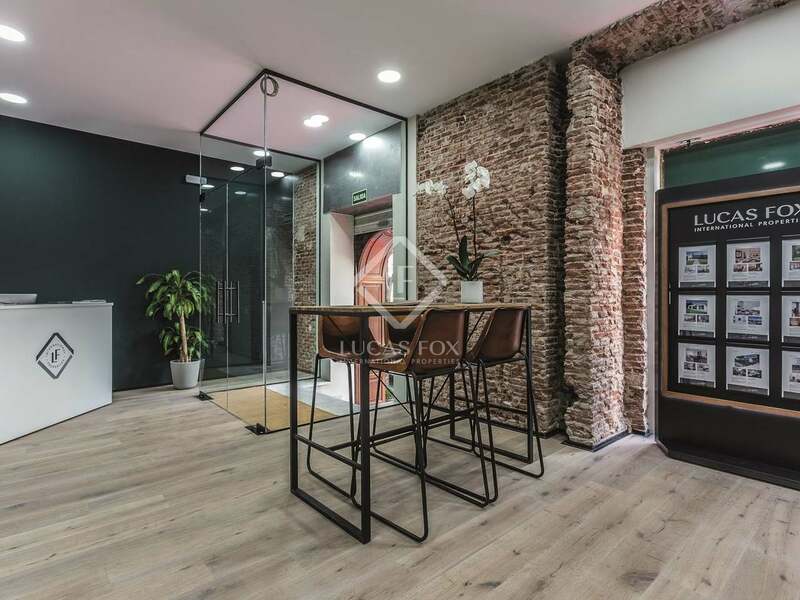 Founded in early 2014, the Lucas Fox Madrid office boasts a diverse portfolio of Madrid real estate for sale and rent, from traditional and contemporary city apartments in the desirable areas of Salamanca, Chamberí, Justicia, Cortes and Palacio, to spacious family homes with gardens for sale in the suburbs of the city. At the Madrid office we can help you find your dream home in the exclusive neighbourhoods of Aravaca, La Moraleja and Las Rozas. 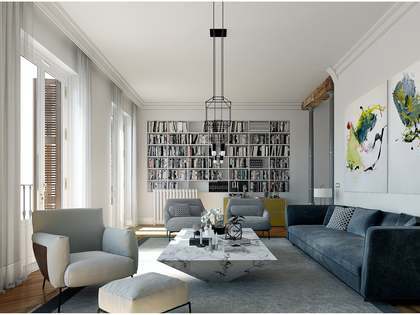 Among the most coveted types of properties are penthouses, new build homes and renovated properties with their slick new interiors, as well as properties that require complete renovation; thereby offering the buyer the opportunity to design a custom-made home. 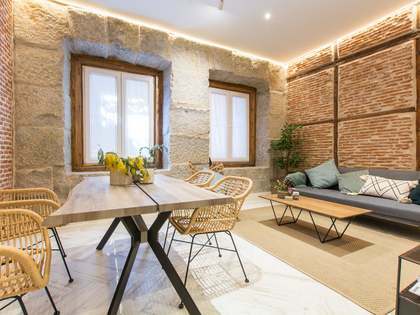 There is always great demand for apartments in historic buildings with classic façades and period features, and above all, centrally located properties that allow one to explore the city and all that it has to offer without needing a car. An increasing number of local buyers have recently returned to the market as well as growing numbers of investors from Northern Europe, the United States and the Middle East who see the unfaltering value of investment in this booming European city. 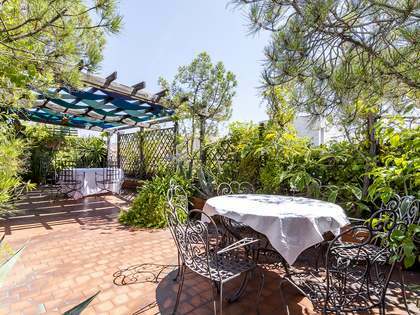 Many of our clients are business professionals looking to enjoy a great city lifestyle, expats and international families that are drawn to the buzz of a capital city and the excellent international schools and healthcare centres, as well as investors and anyone dreaming of a second home or pied-a-terre in this exciting city. Our talented and experienced agents seek only the finest Madrid homes for our discerning clients, with a particular focus on location and exclusivity; always taking time to understand each individual client’s preferences and requirements in their property search in order to provide a bespoke service and guarantee complete client satisfaction. 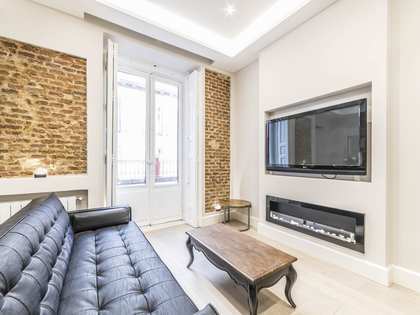 Lucas Fox can accompany and assist you when selecting from our wide range of Madrid properties which are guaranteed to satisfy every homebuyer's needs. What’s more, our multinational team at the Madrid office can attend you in English, Spanish, French, Italian, Arabic or German, offering a friendly and highly professional service at all times. 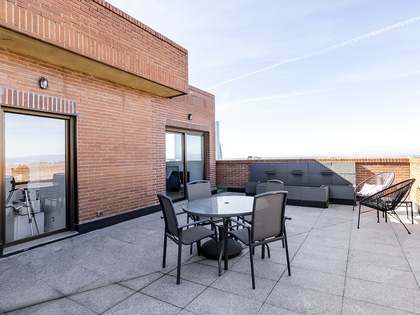 Feel free to contact us at the Lucas Fox Madrid office today to begin your exciting property search in Madrid.